A visit to the Uffizi – both for the art lover and for the curious traveler – is a chance to experience how the drawing skills and the palette of the great masters are still alive and able to speak to us about eternity and beauty. An occasion to discover how, through shapes and colors, it is possible to unveil the culture, the personality, the destiny of the greatest artists. Founded by the Medici family in 1581, the collection of the Uffizi has been constantly increased throughout the centuries, including paintings from the 13th to the 19th centuries. The heart and soul of the collections are the paintings by the great masters of the Renaissance, especially the Florentines. 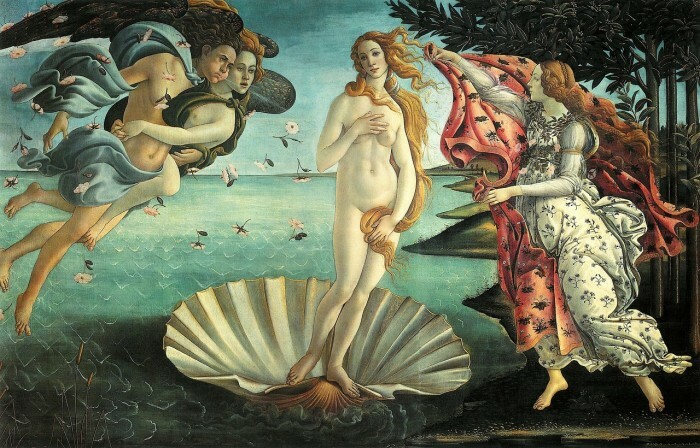 Starting with Giotto, considered the founder of Italian painting, we encounter Botticelli, a poet of beauty and lines, whose Birth of Venus is a milestone for western art. The universal genius of Leonardo and the tormented Michelangelo complete an overview of the highlights of the Gallery. Beyond Florentine masters the collection includes works by Raphael, whose paintings shape the idea of harmony, Titian, capable of capturing the magic of color and Caravaggio, with his strong contrasts of light reflecting the drama of a tormented life. The Uffizi display masterpieces by major European masters that go beyond Renaissance, also collected by the the Medici and by their successors: Rubens, Van Dyck, Rembrandt, El Greco, Goya offer a comprehensive overview of painting history. Reservations and Admissions tickets for the Uffizi not included, reservation is necessary and overbooking is frequent.